Doctor Cha Mi-Rae (Lee Yu-Ri) with one daughter. One day, she is diagnosed with a rare cancer and informed she has about one year to live. She then seeks out her first love Han Yul (Lee Dong-Gun). For her daughter, she struggles to turn Yul into the best father possible. "Super Daddy Yul" takes over the tvN Fri & Sat 20:30 time slot previously occupied by "Heart to Heart” and followed by "Ex-Girlfriends' Club" on May 8, 2015. Based on the webcomic "Shoopeodaedi Yeol" by Lee Sang-Hoon and Jin Hyo-Mi (published from October 11, 2011 to March 12, 2012 via cartoon.media.daum.net). First script reading took place February 10, 2015 at CJ E&M Center in Sangam-dong, Seoul, South Korea. Filming began February 12, 2015.
choco Apr 11 2016 9:17 pm Really love the ending.. I recommend to watch this until ending..Its really make me cry alot... I already watch this three times and every rewatch it always make me prepare a lot of tissues. this is first drama which make me cry altough rewatch (usually I'm only crying on the first time watch) its also have comedy and comical sound effect which make it perfect. . spoiler (? ): I love that the writer didn't show us that Cha Mi Rae was dead, its shows happy ending but likely she's gonna die sooner or later or maybe the miracle happend?? kuman Feb 29 2016 2:28 am yeah i think its a mental ill and too much drama at first guys, but i really recommending you to keep watching. this drama is sooooo really good and heartwarming. i even love the ending. CKW Oct 11 2015 2:27 pm Ahh the line "If I fail, I'll throw you away again". Cherry on top. CKW Oct 11 2015 9:25 am Okay dropping this. The more I watch, the more selfish MiRae is becoming. Like I'm sorry woman, your daughter will be left alone after you die, but you are completely neglecting the fact that LDG is a person with feelings. She should've completely averted the whole stupid idea when she found out LDG wasn't with anyone after their breakup, yet selfish that she is did not even consider than LDG might still have feelings for her. Sorry, not feeling sorry at all that she is dying. IDK what kind of sick minded writer contrived the idea for this show. CKW Oct 08 2015 3:06 pm Still on the 3rd episode, but I found Lee YuRi's character to be selfish so far. She first dumps Lee Dong Gun's character for no reason, and then expects him to handle her child after her death? That's selfish. On the other hand, I wished they had explored Choi Min's character more. He was quite interesting. Trying to throw away his whole career so that the woman he loved would come back to him. seriously this drama is so much heartwarming and just exactly right perfect for me. sakura Aug 28 2015 11:52 pm cute drama:)nice sound effects and brilliant cast. tehee. Boon Ang Jul 24 2015 9:14 pm I enjoyed watching this drama. The narrative was not rich or extraordinary but its theme encouraging hope. On the plus side, the acting was good, especially the characters SaRang and MiRae. The nine year-old SaRang gave an outstanding and award-winning performance. The latter, an experienced and accomplished actress did well too, especially being zany and comical. The OSTs were good too. On the minus side, perhaps the narrative was not as tightly woven and the serial was dragged out a little too much. Overall, the narrative was touching and inspired hope for families coping with a member suffering from cancer. It also portrayed how a deadly disease, like cancer, can also bring a fuller, more meaningful life to their loved ones. Izza_Filipina May 28 2015 7:03 pm funny.. i was amazed when i saw that the family has all the same last name in real life.. LEE Family and also the two SEO are they end up together? hehehe I'm still watching it..as of now in Ep. 5..
kim che ran May 19 2015 3:15 am very daebak K-Drama. Make me laugh and cry at the same time. Han Yeol Seul, Cha Mi Rae, Sa Rang fighting!! Touched my heart. danniah May 16 2015 1:58 am The ending is much predictable from the first ep. But, you know, that fact alone is what makes the story interesting. The story line is very reasonable and acceptable. It's heart warming drama. The narrations to start and to end every ep are really great, it balances all funny things inside. Their focus on love is incredible, it's not about teen romantic love like what other drama did. This drama profiles "love" as something beyond what we usually watch. Warm love that enough to take care the in-law, to believe each other, to give strength through the darkest time of the life. I learn a lot, I laugh a lot, I cry a lot for this drama. It is worth your time, I assure. P.S. Seo Jun-young and Choi Min are adorable. lila May 15 2015 8:10 am First of all, I haven't watched this drama yet. But now I run out of drama and have nothing to watch for weekend so I will give it a go because of all positive feedback below this comment. I'll be back to review this drama later. Dera May 14 2015 6:15 am it was a raelly good drama every character was special & the best thing was Dr.shin &ji-hye momments i hope they get to do more drama togther as a lead next time <3 <3 <3 everyone did really great job it was total fun . afiq May 06 2015 1:55 am This is a must watching drama, i really really recommend this drama, this is such a beautiful drama, all the cast, the plot, the ost and all about it are very good, lee yu ri done a great job on her role, she really an amazing actress, every scene like sad scene, happy scene, funny scene, she did well, i start to fall in love with her. the plot are amazing, i like how they dont give up and keep going until the end, even they fall, they will get up and go straight. that really inspired me. that the lesson you will get in this drama, the family bond are amzing. i really like yeol, mirae and sarang as a family, i wish i had a family like them to live, the ost are good and i love it, the ending is really beautiful to me, even though the surgery did not went well, but mi rae never give up, she will find a way to cure her cancer and she will stay by yeol side no matter what happen, they will never give up, that make me tears so much. and im happy they finally get married. i hope they live happily as a family, i really hope that there will be a sequel for this drama, i want to know what will happen to mi rae and her family...BTW i really love this drama !!! DAEBAKKK !!!! debie May 05 2015 11:12 am The reason why i love watching TVN's drama is that .. in the last episode, there is always a lesson, or should i say , in the very last episode there was a part where the lead actor/actress leaves a meaningful message(voice over) in what have they learned throughout their experienced. Like for this one, "Living is another word for Loving". Somehow the viewers also relates and learns to the closure message. Daebakk TVN. Fighting!! Love your dramas. ❤❤❤ fighting!! hanna May 05 2015 3:02 am Love this drama..nice ending..sad but happy, happy but sad..I love the OSTs too, the songs are really good..
Jaci Yeo (@jaciyeo) Apr 23 2015 2:46 pm Good drama I am enjoying it. I love the cast and I like how the storyline is played out. I hope they end it well for a 16 episode drama. Looking forward to enjoying this drama until the end. 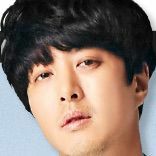 I'm a fan of actor Lee Dong-Gun. Jaci Yeo (@jaciyeo) Apr 23 2015 2:44 pm Good drama I am enjoying it. In the webtoon, her name is Yeora and she is a lawyer. Her child's name is not Sarang but Kkami and the child is younger in webtoon (around 7 years old) and Yeol is the child's biological father. In webtoon, Yeol has mother and his mother is healthy and alive until the end while in the drama Yeol has a father alive (and now dead). In drama the one who likes Mirae is a fellow junior doctor while in webtoon the one who likes Yeora is her fellow lawyer. In webtoon, Yeol (previously a bum or unemployee) works as a supervisor in a branded coffee shop (later becomes manager) while in the drama he is a basebal rehab coach. The end of webtoon, Yeora has 30% chances of survival (before only 10%) and it makes the chances increase and gives them hope. So, I'll see further how different the drama from the webtoon. I hope she'll live and be healthy and be happy with her family. So far, I am in love with the drama (I love the webtoon too). nezha Apr 05 2015 4:20 pm btw, i'm reading the webtoon version. in the last episode her surgical succes rate was 30%, but its not given answer if she get alive or not[succes surgery or not]. hope in drama version, the end will be clear about she dead or not! Doraemon Apr 04 2015 8:52 pm Good thing I read the other comment about Han Yul being the kid's biological father, or else, just reading the summary, I would think it was really unfair for the guy and selfish of the girl. No matter how much she loves her daughter, she can't just turn the guy she loved into a widower and burden him with her child for the rest of his life. Being a guardian (for friendship) is a different thing though. But it's just cruel if the guy falls deeply in love with her and then finds out she is about to die. Anyway, thanks to the comment, I'll give it a try. I hope no one dies at the end. kat Apr 03 2015 1:33 pm I don't know what to say. I love this drama, has everything I like in a film, has drama, love, comedy, action.... I'm hopping for a hart warming ending, but I know there are 50%-50% chance that that will happen. Anyway dose anyone know how many episodes this drama has? its make me remembering my old girlfriend -_- its make me having nightmare earlier..
please good ending for this drama, like miracle of love that give cha mi-rae illness cured. ^_^ fighting!! PissAnt Mar 30 2015 9:20 pm Horrible. heartskyn Mar 23 2015 7:29 pm I'm looking forward for this drama Lee Dong Gun and Lee Yu Ri have good chemistry and I like the cuteness of Cha Sa Rang I want this drama have a good ending because I like the first and second episodes. JC Mar 22 2015 5:26 am Cha Mi-Rae will actually have her treatment on the later episodes. I don't know if she'll live but cancer cells will stop from spreading and she'll have an operation to remove the tumor. And Han Yul is Sa-Rang's biological father. Sa-Rang's birthday is when Mi-Rae and Han Yul broke up. ms.A Mar 21 2015 3:00 pm I think i already know where the story line leading us to. I positively believe that it will give us a happy ending. Im realy impressed with the lead characters. For all d cast and crew specialy d writers. FIGTHING!!!! flore ina Mar 20 2015 12:36 pm Cha Sa-Rang is so lovely, she really looks like Han Yul. They are perfect to be daughter and dad!!! Love this drama so much!!!!!! Cesar Lad Mar 19 2015 9:04 am While at first glance it has similarities with Mama, I really do think its a class of its own. It doesnt have that drama that mama had, rather its a drama that brightens up your day as the daughter and dad fight for the mom's attention. Besides, she was diagnosed with a tumor, however, didnt take the biopsy which i assume would be a twist near the end as it could only be benign and not cancerous. 0009 Mar 18 2015 11:39 am Oh, please, another "Mama - nothing to fear" and "The Spring Day of My Life" ?! With "beautiful heart-touching" (means that there is no reason to watch it) story and dead body at the end? Thank you, but, no, thank you! Lee Yoo Ri picked up the wrong screenplay, she deserves a much better drama to show her acting abilities. KDramaAdept Mar 17 2015 6:00 pm Dong Gun's leading lady is named Mi-Rae again?! What's with all these dramas repeating names?!?! khin qian Mar 14 2015 2:33 pm WOW! I am loving this drama already ^_^ can't wait for next week... Good Drama. kiel77 Mar 14 2015 1:40 am Isnt this the same as mama - nothing to fear. The plot is somewhat super same? ?